We are a team of ASE certified mechanics that have created this guide to help you learn why your car pulls to the right or left when braking and what you can do to fix it. While a light right hand pull when a car is heading down the highway is normal for safety purposes (Left for some European and Australian cars) a jerk right or left when hitting the brakes is not normal and in some cases can be dangerous. The brake system depends on even pressure to be applied to the front right and left caliper and the rear brake shoes or pads. If this pressure is offset due to a malfunction the car will pull when the brakes are applied. An additional cause of brake pull is suspension related which we will cover in this guide. This problem will require you to lift the car in the air using a hydraulic jack while securing the vehicle with jack stands so begin with the vehicle on level ground in park with the emergency brake set. You will be using everyday tools while wearing protective gloves and eye wear as well. You may even need to remove and reinstall the tire. The following steps are presented in order of popularity and pertain to most vehicles. Check the Caliper Slides and Rotors: Most vehicles are equipped with floating brake calipers which move on the caliper slides. When these sides become stuck (seized) the caliper will either not fully engage or release creating a brake pull. An easy way to check this is too take the car for a drive while using the brakes heavily. Then use an infrared laser temperature reader to rear the temperature of each rotor. Place the beam of the meter in close to the same place on each front right and left rotor. If there is a problem there will be a large difference in temperature. Example: Right side reads 190° F (87.7 C) and the left 80° F (26.6 C) there is a problem (brake rotors should be close to the same temperature from side to side). Either one of the calipers is not actuating or one of the calipers is stuck on. This can be due to the caliper slides are not working or a brake hose has fallen apart internally not allowing the brake fluid pressure to go into or come out of the caliper. If the brakes are grinding while pulling it could mean the pads have worn and replacement is required. Because a brake hose is constructed of rubber they can fail internally allowing a small part of the inner hose liner to become lodged. This will act like a one way check valve that will either withhold brake pressure to the caliper or not allow hydraulic pressure to bleed off. 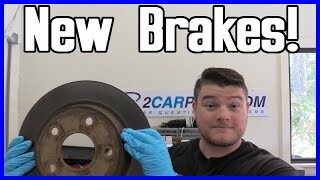 If a brake job was recently performed check the hose to make sure it is not kinked or bent because sometimes the hose can get twisted when reinstalling the brake caliper. A tie rod end holds the spindle which supports the tire when steering your car. This part can wear as all suspension parts do allowing the front tire to move right or left when the brake are used. To check for this problem grasp the front wheels one at a time and move them back and forth while watching the tie rod. There should be no visible play. If play exists the tie rod end needs to be replaced. 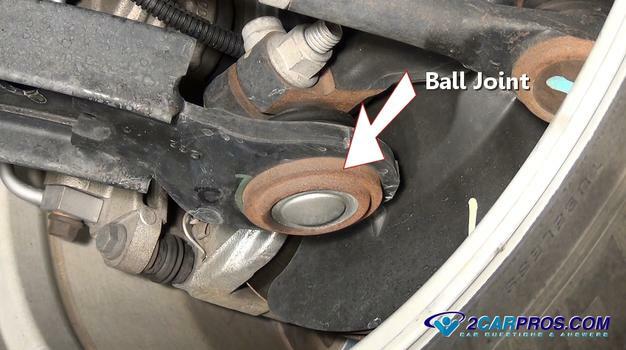 Check the Ball Joints: Lower ball joints are used to hold the spindle steady while the car is being driven. If the ball joints become worn they will allow suspension components to move out of line causing the car the wonder from one side to the other when the brakes are applied. When checking the ball joints lift the car slightly but leave the wheels on the ground. This will take pressure off the joints and allow you to see any play. Checking the ball joints while the car is still on the ground or completely lifted the heavy pressure of the car will make it difficult to check. A large pry bar can be used by inserting it between the ball joint and spindle. Rock the bar back and forth while checking for excessive movement in the ball joint. If the ball joint has play it will need to be replaced. 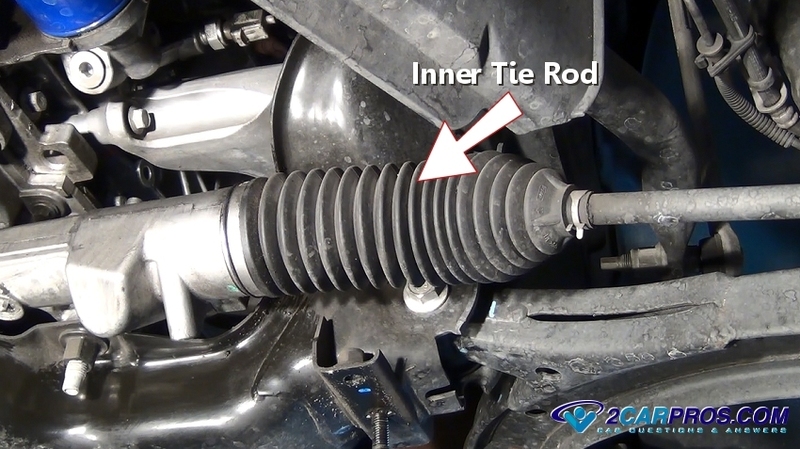 Inspect the Inner Tie Rod: On cars built with rack and pinion steering a inner tie rod is used to connect the outer tie rod to the rack and pinion. The inner tie rod does much of the same job as the outer but is more difficult to inspect because it is under a dust boot. Grasp the tire as you would do checking the outer tie rod you rock it back and fourth while observing the inner tie rod end. Again no play should be observed or replacement is required. Check the Control Arm Bushing: A control arm bushing is used to insolate the control arm from the remainder of the car from road vibration. It is made of an inner and outer metal sleeve with a hard rubber separating the two from each other. When this rubber insulator falls apart it allows the control arm to move when the brakes are applied which causes a pull. Using a flashlight check the control arm bushing and see if any rubber parts are cracked, missing or falling out. Also look for shiny surfaces which shows the suspension components have moved which is a sign of wear. Rotate the Tires: Tires are constructed with many vulcanized layers that can become dislodged internally. 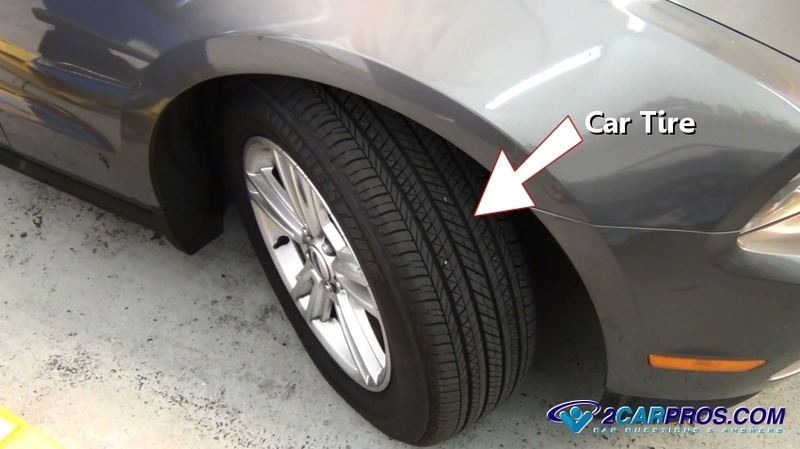 A tire can act one way when the car is driven normally and then shift internally when braking causing a pull. Tires can also cause a brake pull that will change if tires are swapped from side to side which changes the tire direction and rotation. Rotating the tires front to back can help this problem. If you have any questions about brake pull please visit our forum. If you need car repair advice, please ask our community of mechanics is happy to help you and it is always 100% free.